Mexico’s record auto production may get another boost from Bayerische Motoren Werke AG (BMW) and Hyundai Motor Co. (005380), which are considering building factories in Latin America’s second-largest economy, Economy Minister Ildefonso Guajardo said. The government has held talks with both companies and at least one of them may announce plans for a new plant next year, Guajardo said in an interview in New York today. That would mark Mexico’s first new car factory since April 2012, when Audi AG revealed plans for a $1.3 billion plant it started building this year to produce its Q5 sports-utility vehicle. 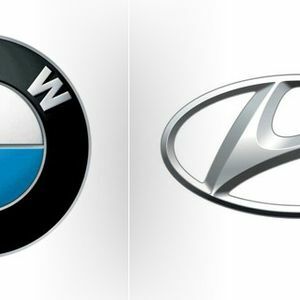 A BMW or Hyundai factory would further bolster Mexico’s auto industry, which set production and export records in 2012 and has continued to expand this year even as the nation’s economic growth has slowed. Nissan Motor Co., Honda Motor Co. and Mazda Motor Corp. (7261) are building plants in central Mexico, while U.S. automakers Ford Motor Co. (F) andGeneral Motors Co. (GM) are investing in additional production. Elizabeth Solis, a spokeswoman for BMW in Mexico, did not immediately respond to a telephone message and e-mail seeking comment. Meeyoung Song, a spokeswoman for Hyundai in Seoul, did not respond to an e-mail for comment outside normal business hours and a phone call to her office went unanswered. Mexican auto output rose 4.4 percent in the first eight months of the year from a year earlier to 1.99 million vehicles, according to the Mexican Automobile Industry Association. Production last year climbed 13 percent to a record 2.88 million. Autos, aerospace and electronics are “the leading industries in terms of foreign direct investment,” which is on target to more than double to $35 billion this year, Guajardo said. Exports may rise 5 percent to $390 billion, he said. Even discounting Anheuser-Busch InBev NV (ABI)’s $20.1 billion purchase for full control of Corona brewer Grupo Modelo SAB, Mexico is set for a “dramatic” increase in foreign direct investment, Guajardo said.